German scholar; lived at Hamburg in the first half of the nineteenth century. He compiled a catalogue, entitled "Ḳehillat Dawid," of David Oppenheimer's library (translated into Latin by Lazar Embden, Hamburg, 1826). 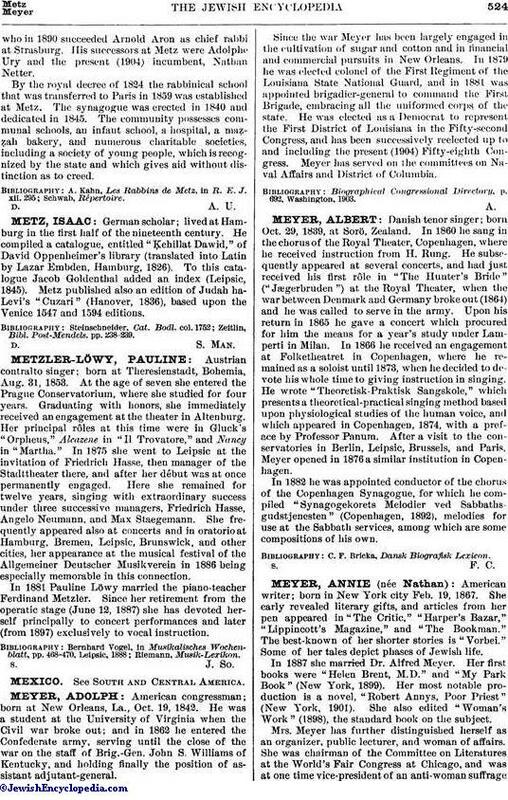 To this catalogue Jacob Goldenthal added an index (Leipsic, 1845). Metz published also an edition of Judah ha-Levi's "Cuzari" (Hanover, 1836), based upon the Venice 1547 and 1594 editions. Zeitlin, Bibl. Post-Mendels. pp. 238-239.